The home planet of Mr. Love & Mrs. You. 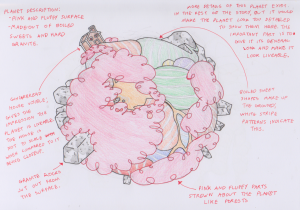 Designing this was a challenge, but it was made easier when Martin Small made clear that the planet should be made out of candy floss and rock candy. 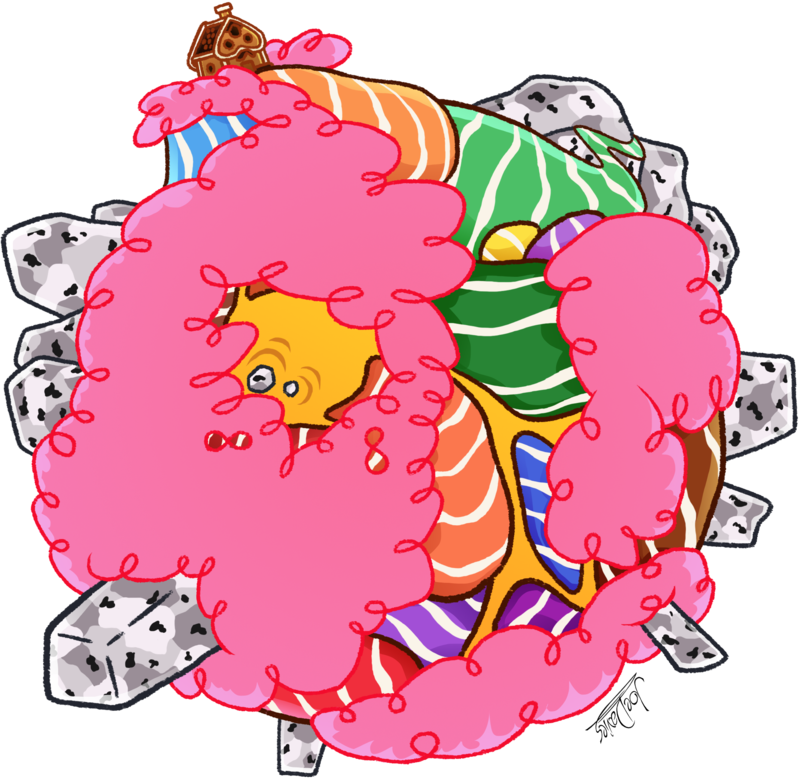 A bizarre idea to be sure, but it made creating a planet that much more easier. As you can see, the only visible landmark on the planet is Mr. Love and Mrs. You’s house. This is because, at the time, I had not yet designed the other landmarks for the book. Not a smart idea I know, but it least made those locations secret until their purpose in the book. The planet does not have an official name. 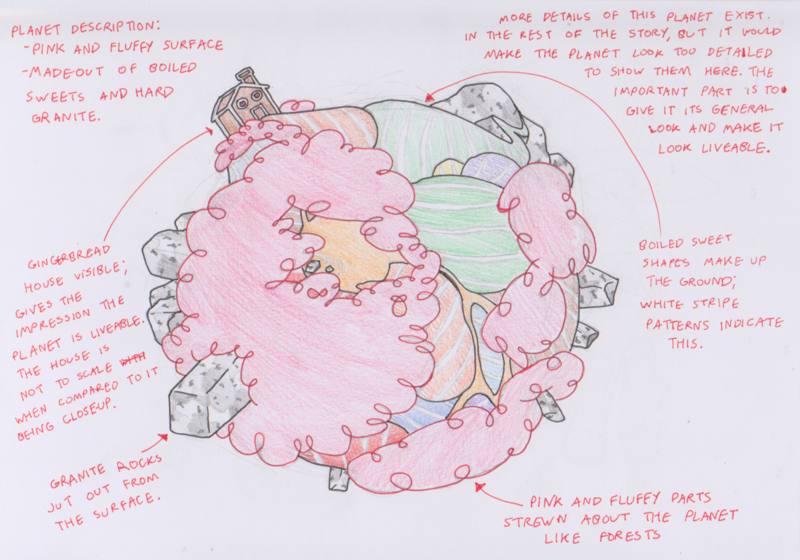 So I’m going to call it “Planet Sweet” for now. Not the most creative name, but what can you do.